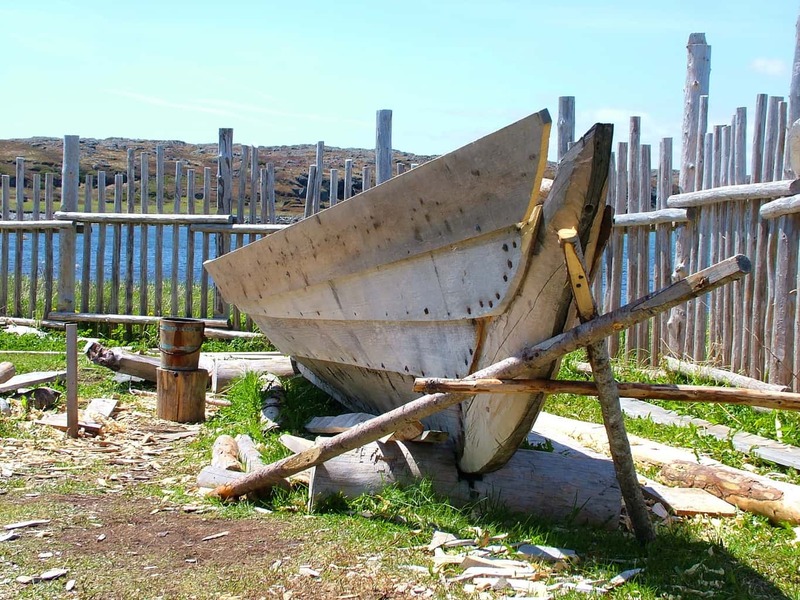 Recognized as the first location in North America visited and settled by Vikings from Greenland, l’Anse aux Meadows in the Canadian province of Newfoundland and Labrador was declared a UNESCO World Heritage Site in 1978. 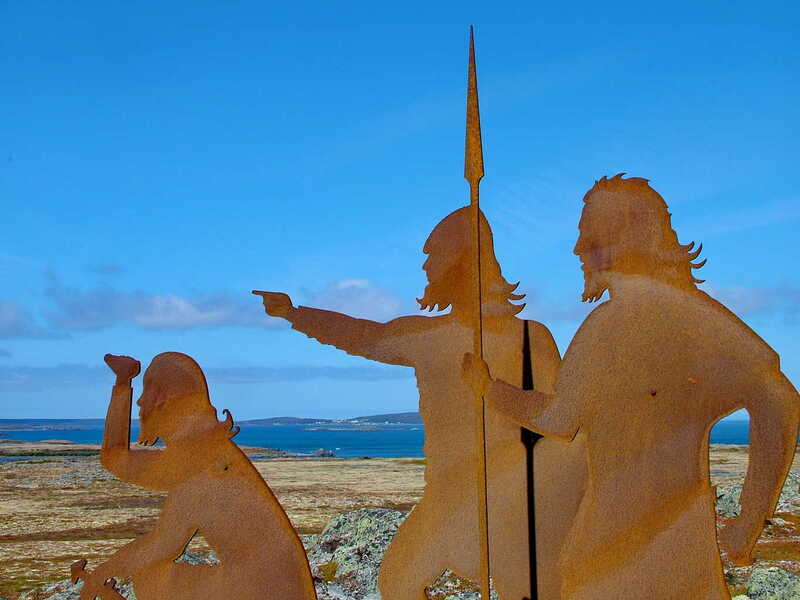 The metal sculpture above represents period Norsemen looking out over Epaves Bay at the northernmost tip of Newfoundland’s Great Northern Peninsula where the Vikings first came ashore in the year 1,000. Leif Erickson and other Norsemen sailed west across the Atlantic Ocean from Greenland and Iceland in search of new territory to settle and explore. 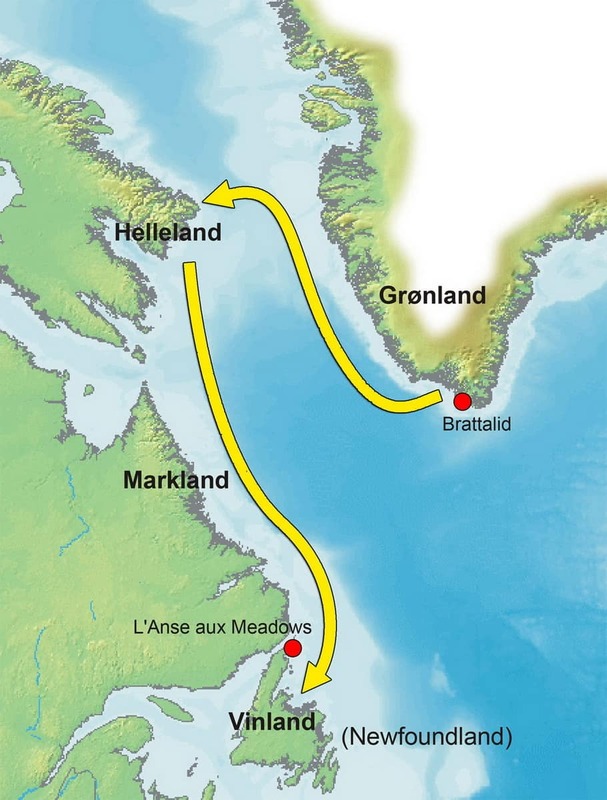 Their arrival at the island of Newfoundland represents a huge achievement in terms of pre-Columbian trans-oceanic travel. They were the first Europeans to stumble upon the New World, stepping foot onto the island 500 years before either John Cabot or Christopher Columbus arrived on the continent. 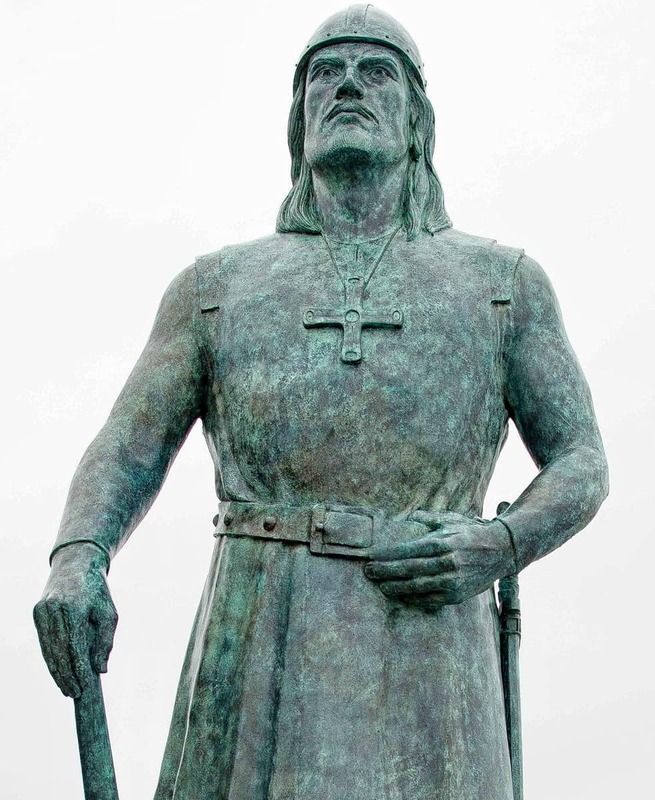 This statue of Leif Erickson was erected at l’Anse aux Meadows to commemorate where the Norsemen established their encampment. Vinland, as they called it, served as the base from which they expanded their explorations into the Gulf of St. Lawrence. Norse sagas had, for centuries, talked of their discoveries, but many wondered if they were simply myths. 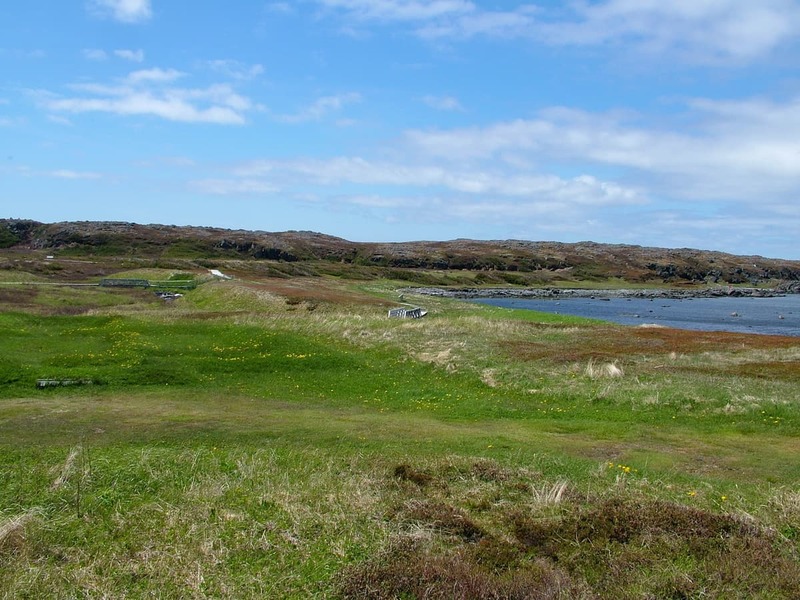 The windswept coastal outpost is now dominated by flat, grassy plains, but the area was once covered by forests that provided necessary hardwood for ship repair and boat building given that Greenland had no trees. The wood also made possible the construction of simple timber and sod dwellings. 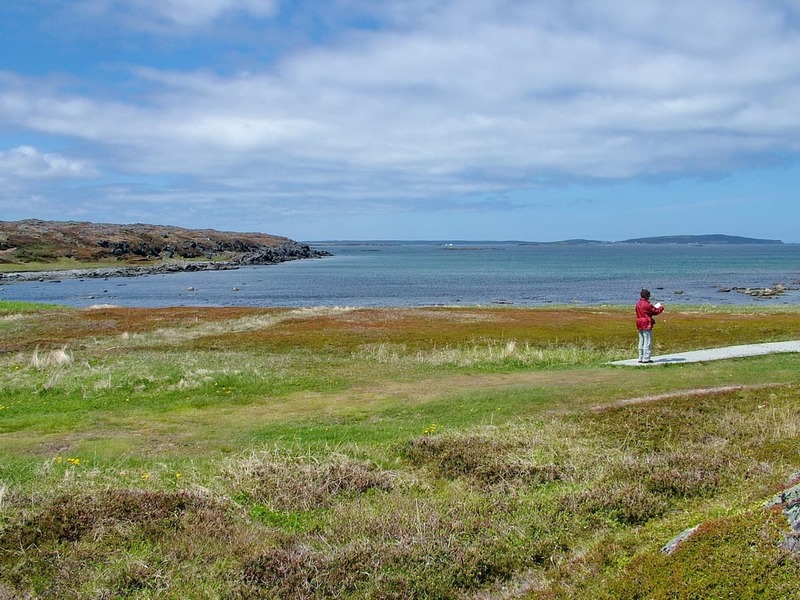 It wasn’t until 1960 that the Norwegian explorer, Helge Ingstad, made his first exploratory visit to the collection of grassy mounds outside the fishing hamlet of l’Anse aux Meadows. Referred to as an “old Indian camp” by the locals, the geometric layout of the bumps in the grass was anything but a natural phenomenon. 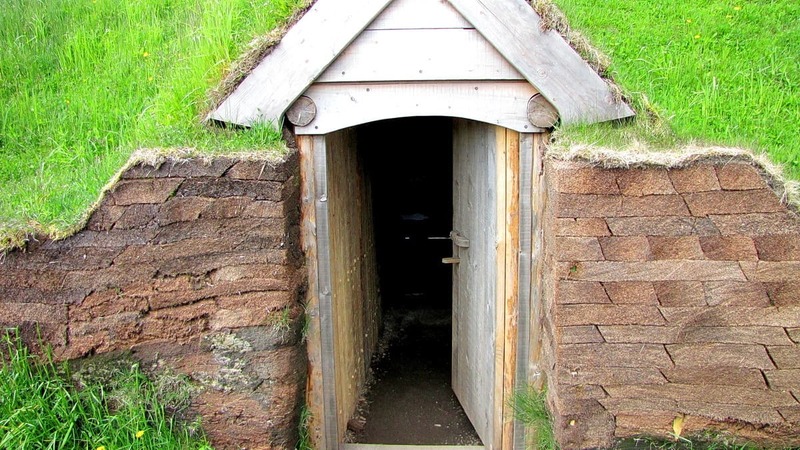 At that time, Helge determined the earthen ridges in the grass to be remnants of ancient timber-and-sod buildings. 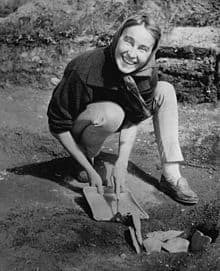 Between 1961-1968, Helge and his wife, Anne, carried out seven archaeological digs that ended up proving Helge’s theory that Vikings once lived there. During their excavations of 8 complete dwelling sites, Helge and Anne came to know conclusively that Norsemen had settled here. 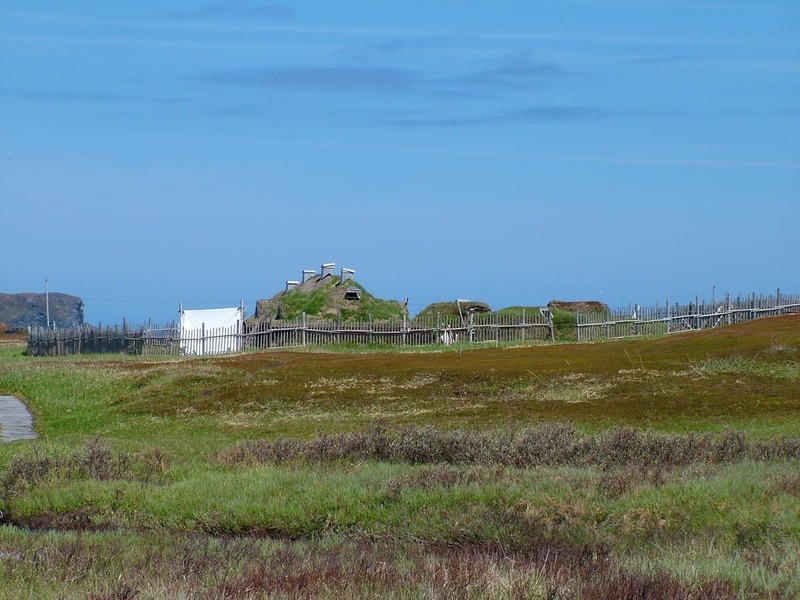 There was no mistaking the similarity between the wooden framed structures covered with peat turf at l’Anse aux Meadows and those from the same period discovered in Norse Greenland and Iceland. 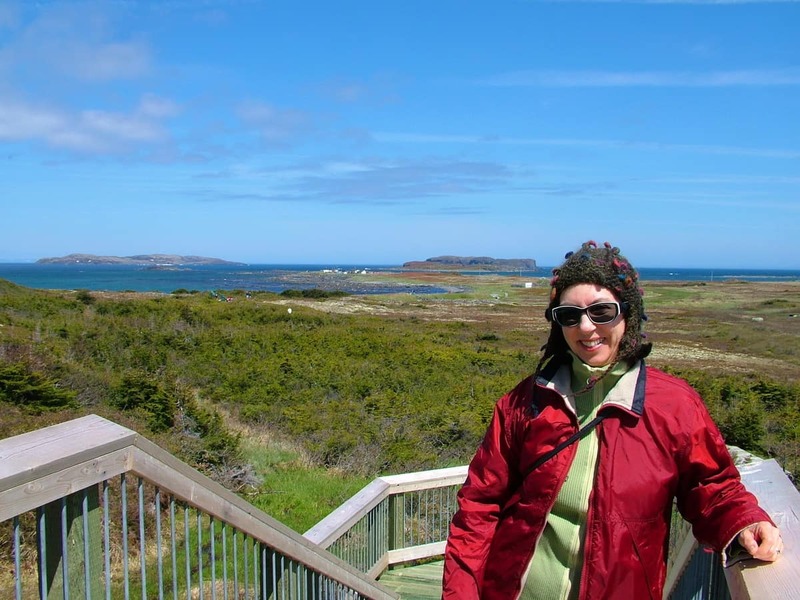 We first visited the National Park Visitor Center for L’Anse aux Meadows. 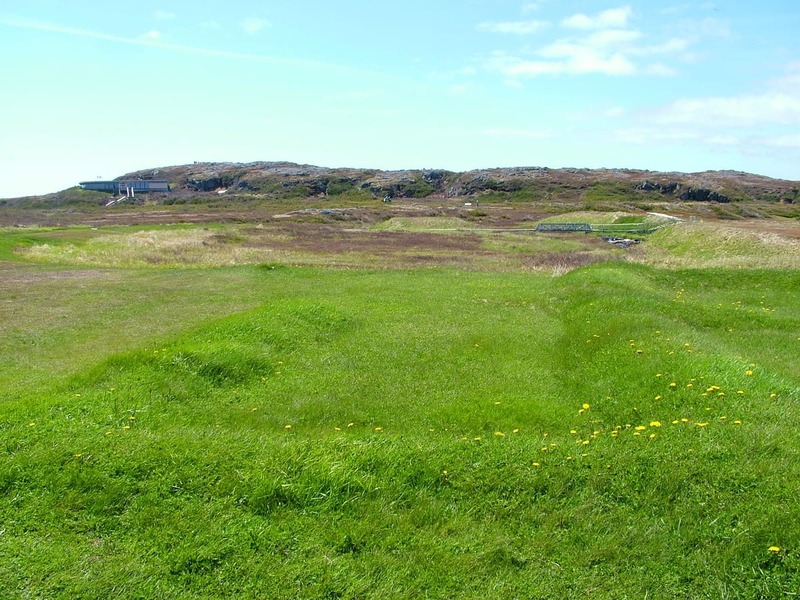 A 20-minute video provided history of the discovery of this 11th century Viking settlement and the work of the Ingstads. While there, we were able to view some of the original artifacts unearthed by Helge and Anne. Included amongst the some 800 artifacts of wooden, bronze, bone and stone items are a bronze cloak-fastening pin, a bone needle and a spindle whorl, all of which conclusively support the Vikings’ presence. The convenience of a boardwalk is provided so that visitors can walk across what looks like a meadow but what is actually a peat bog. 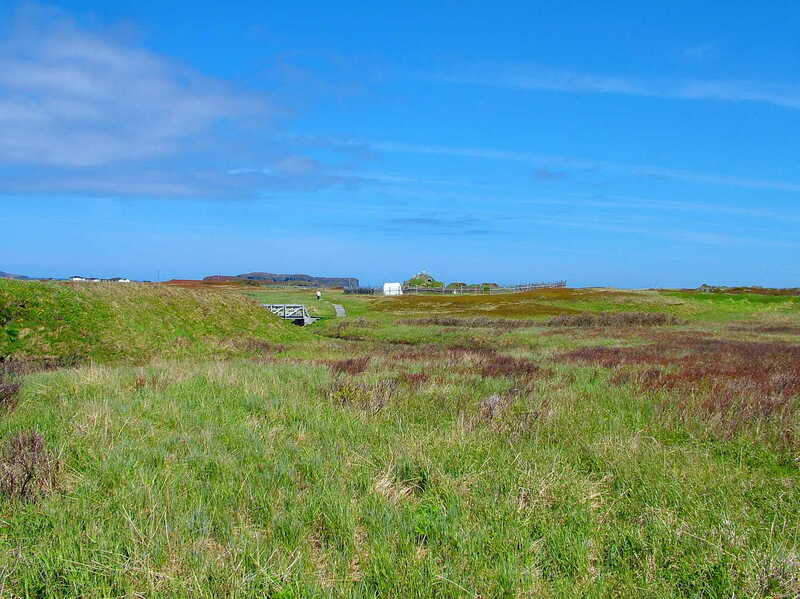 The original sod buildings were located on a terrace overlooking this same bog. 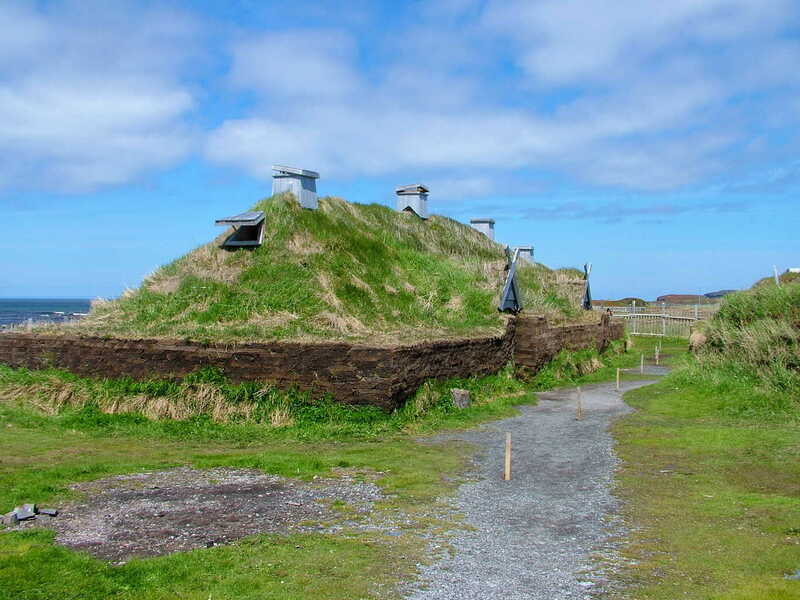 It was turf taken from this peat bog that was used to cover the timber frames of the Vikings’ buildings. Figuring further into the proof of the Vikings’ settlement was the discovery in one structure of iron slag, a remnant of iron production. 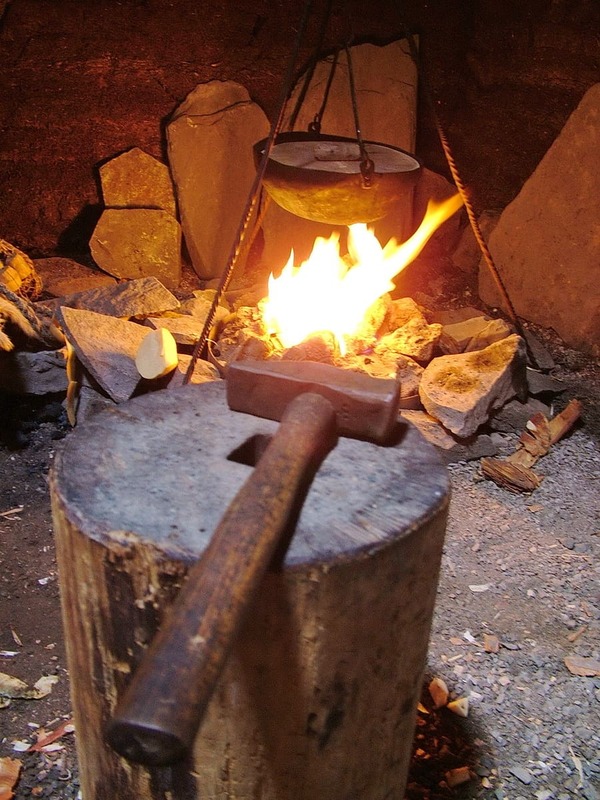 Only Norsemen had the know-how and technology to transform bog ore into iron. That particular structure was deemed to have been a smithy with a forge. 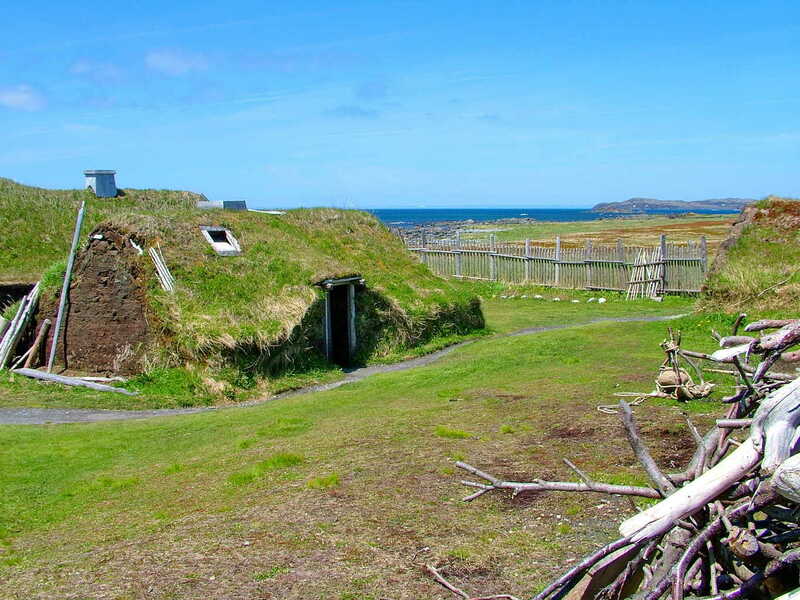 The National Historic Site at L’Anse aux Meadows includes a Visitors’ Centre, the archaeological area where it is possible to see the outlines of the original turf buildings beneath the grass and dirt, and a good selection of typical Norse buildings that have been constructed to replicate the originals. As Bob and I walked around, it was easy to imagine how the Norsemen once lived because we had access to all of the buildings that had been built based on unearthed remains. 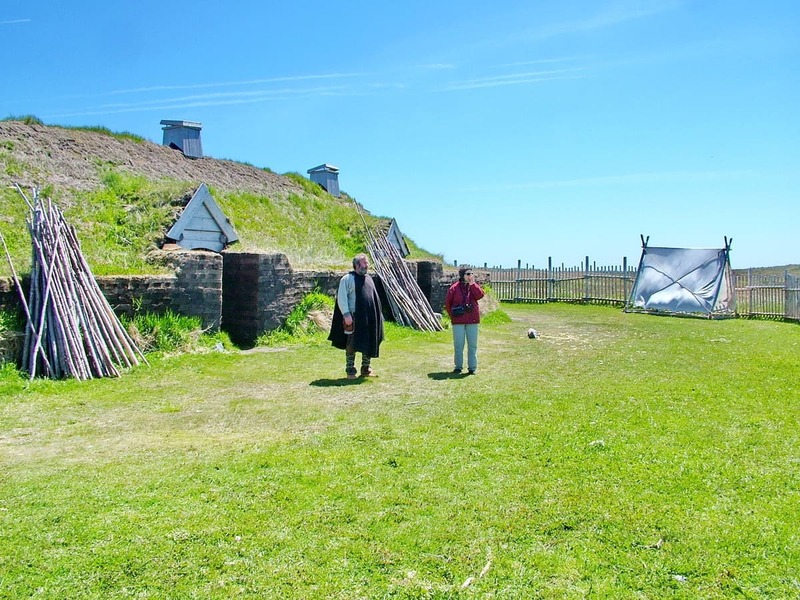 It is not known how many Norsemen once occupied the encampment at l’Anse aux Meadows, but it is thought that the dwellings could accommodate between 30-160 people. When we saw this re-created longhouse, it was easy to see that a good many people could be housed in that one building alone. 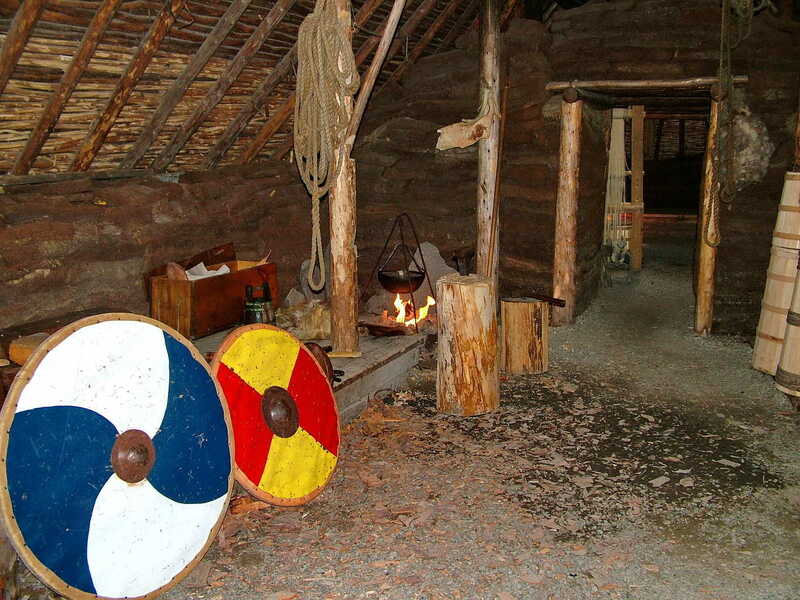 A Viking longhouse was sectioned off with a central long hall that formed the main living space with the ends partitioned off into separate rooms. 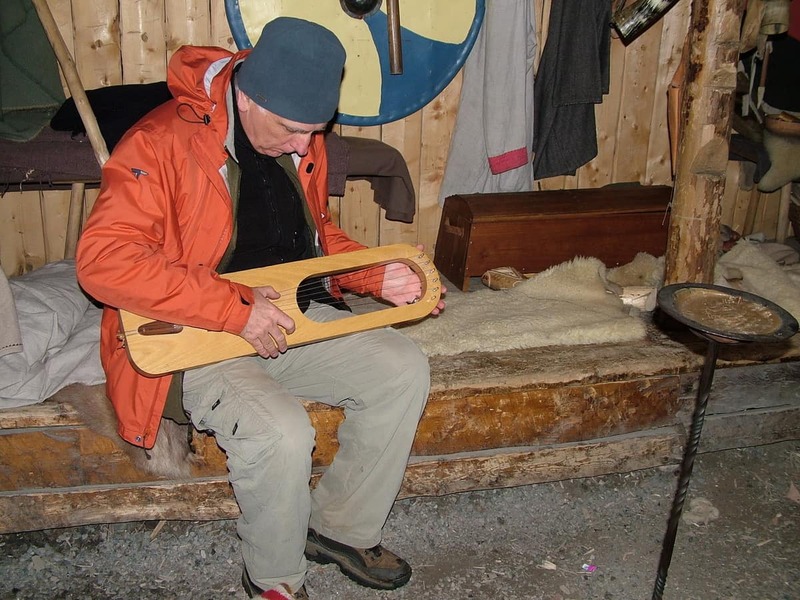 It was explained by the costumed Viking interpreters that built-in benches along the walls of the main space not only helped support the walls, but also served as sleeping platforms, places to sit, and as a workspace. A stone hearth was situated either in the center of the long hall or to one side of the main corridor, and it provided heat, light and a means to cook the food. 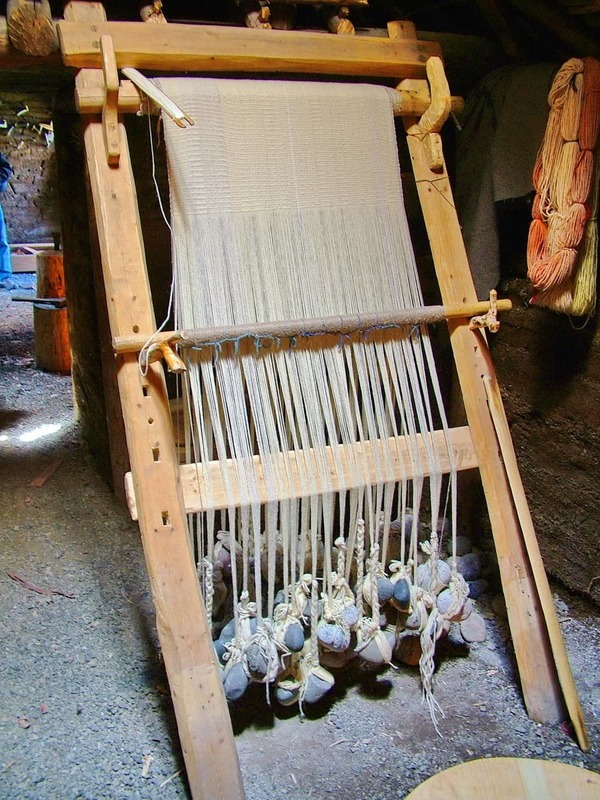 such as this vertical loom that was on display in one longhouse. Stone weights such as those used in this loom were found when excavating the site, as well as the spindle and needle, which supports the presence of women in the encampment. 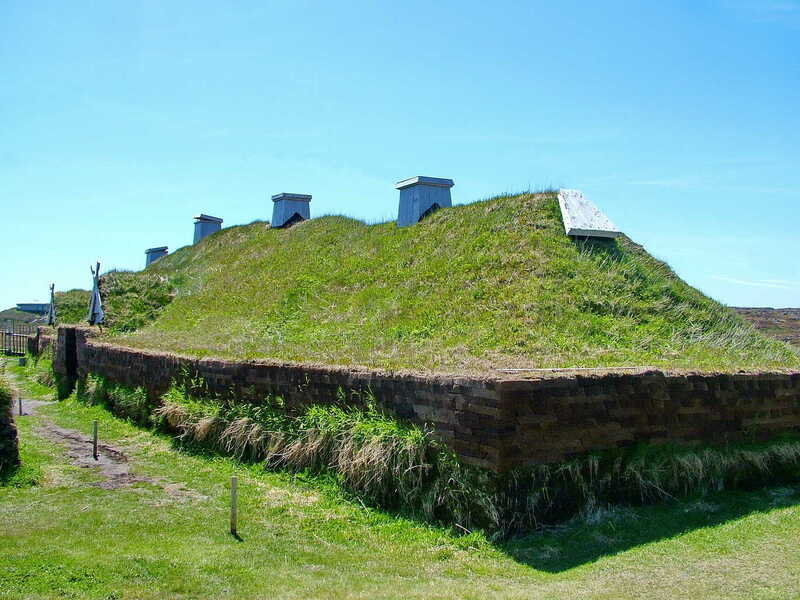 smoke holes in the sod roof, or in some cases chimney stacks, let additional light into the interior and allowed the smoke to vent. 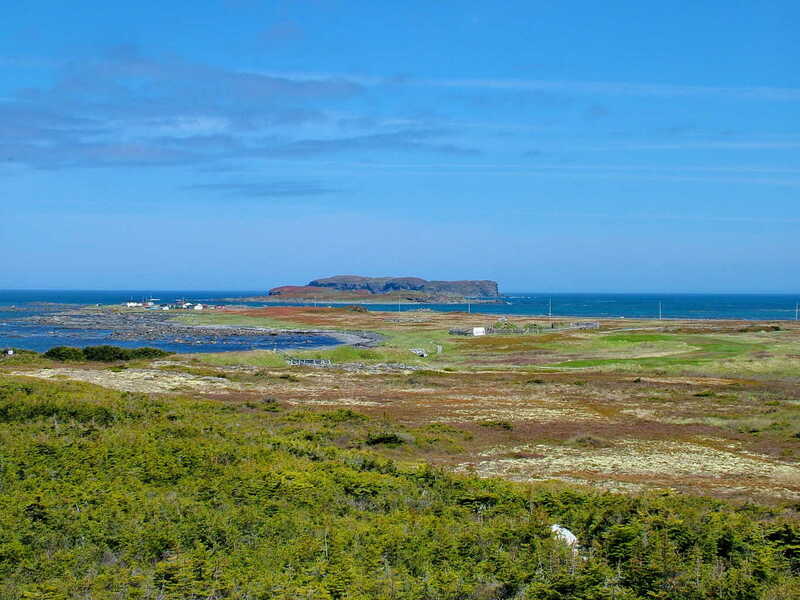 The re-created Viking encampment at l’Anse aux Meadows stays true to the archaeological findings at this location. It is a model that illustrates how the site may have looked at the time of the Norse occupation. 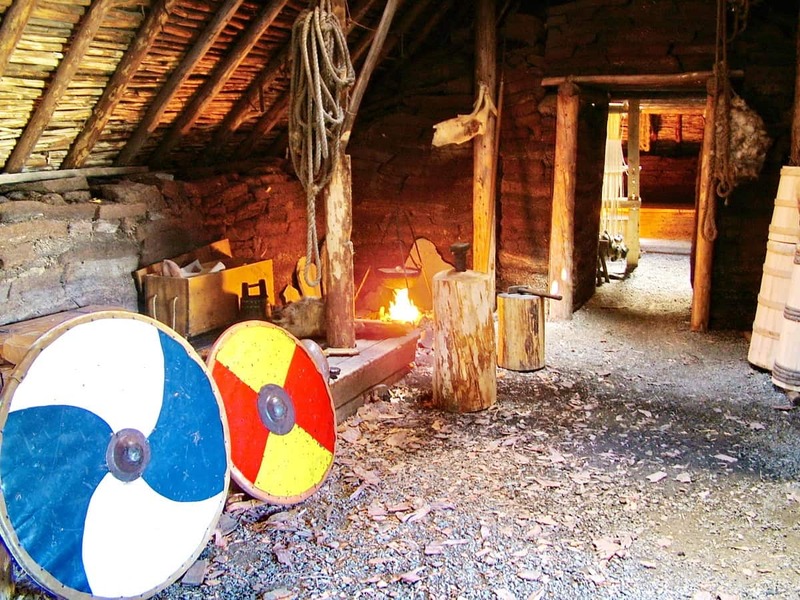 Helge and Anne Ingstad determined that a variety of structures were originally in place at the Viking settlement, one substantial longhouse, 3 smaller dwellings that provided shelter for lower status crew or slaves, and several smaller buildings that served as workshops. Each gabled entrance transported us back in time. 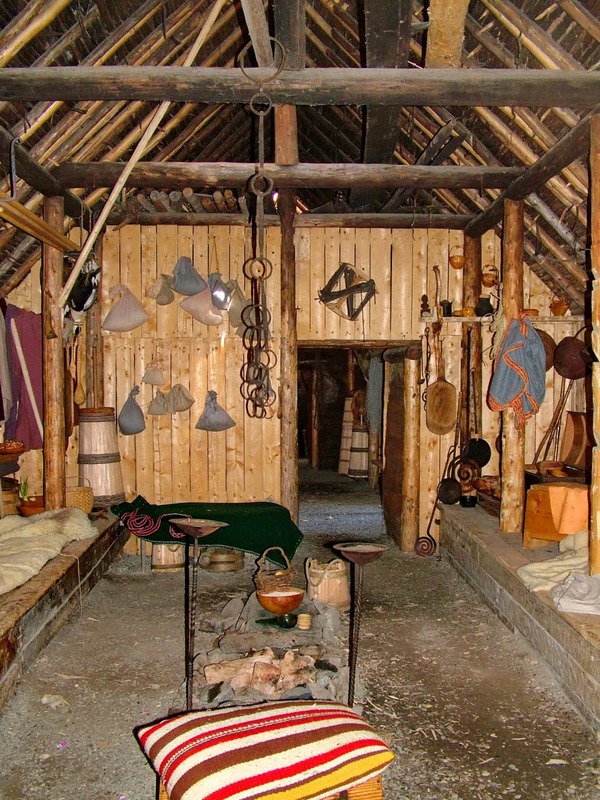 Based on artifacts found, it is known that there was a carpentry workshop and an iron smithy. 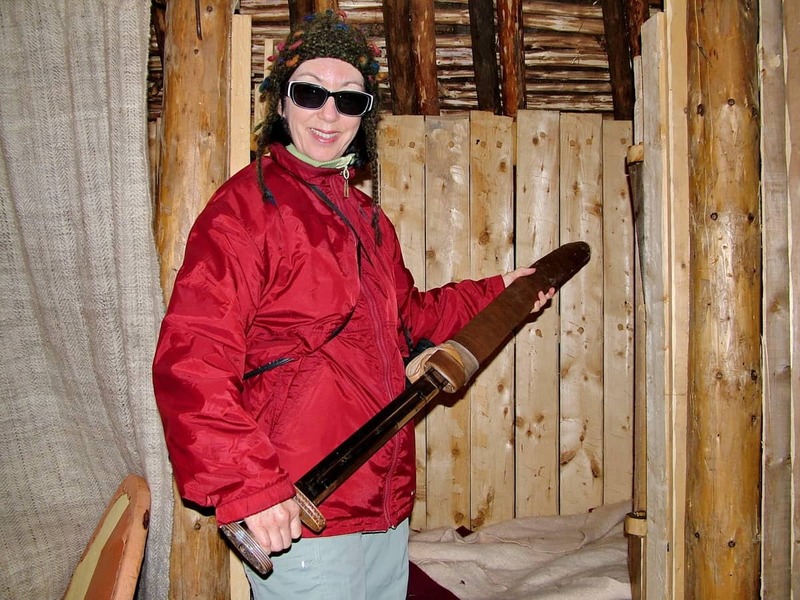 while I examined a Viking sword. 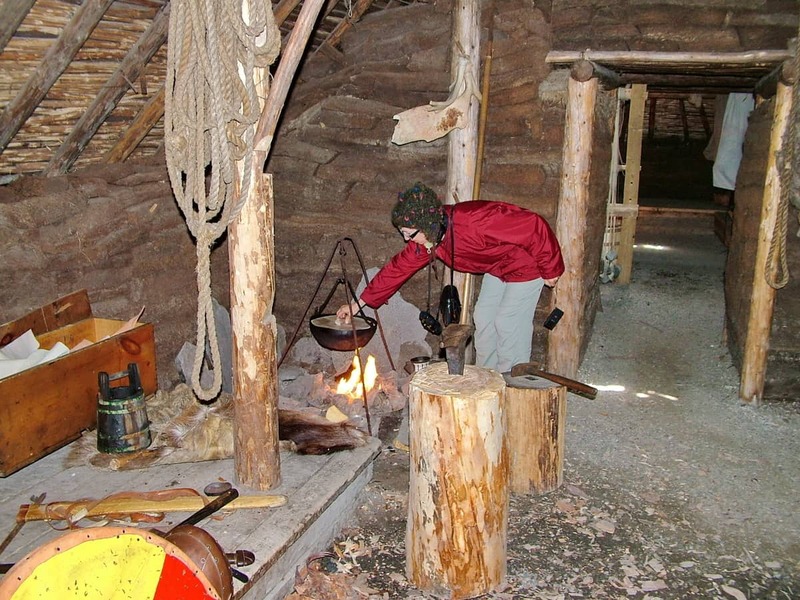 Tools, cooking utensils and reproductions of many Viking artifacts were at hand to complete the picture of period Viking living. also referred to as Faerings. 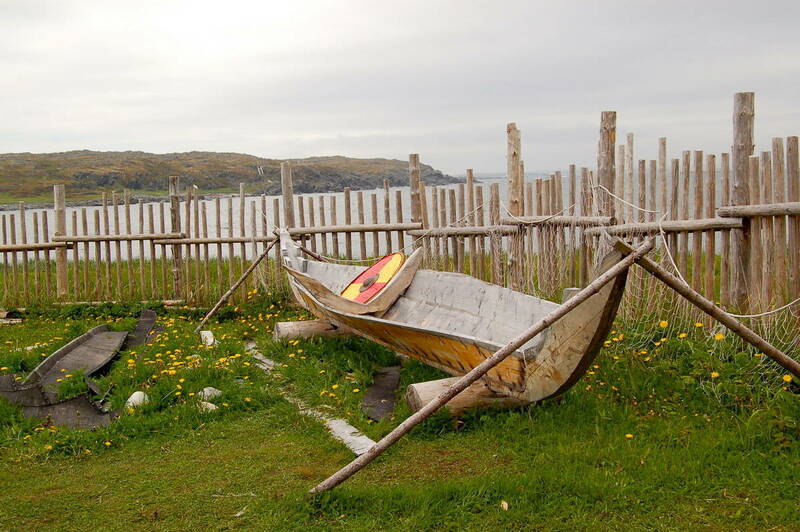 These flexible slender boats have a unique design that originated with the Vikings. Construction consists of overlapping planks that are riveted together. In one of the archaeological digs, worn iron rivets were found in an unearthed workshop. A Faering is a rowboat manned by 2 oarsmen, and in fact, the word Faering comes from the Norse word meaning “four oaring”. Viking ships or longships were essentially constructed the same as the smaller rowboats but were on a much larger scale to enable the Norsemen to ply the world’s oceans. 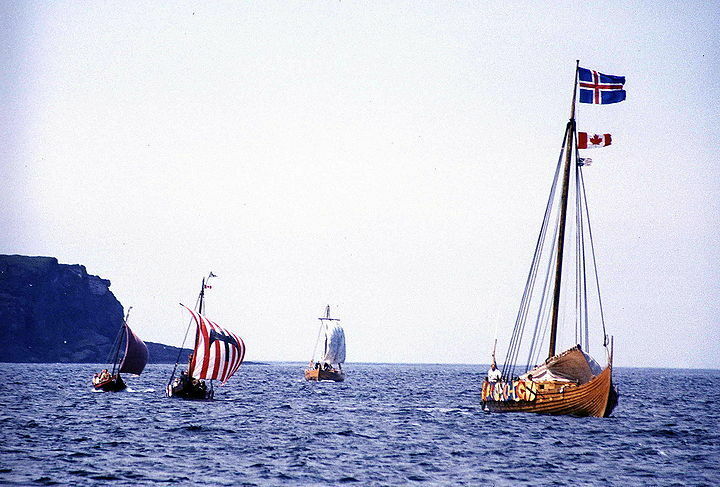 Above is a snapshot of a group of Viking ships landing at l’Anse aux Meadows in a reenactment ceremony. There at the northern reaches of the peninsula, backed by barren hills and seaside cliffs, Bob and I enjoyed the view out over Epaves Bay complete with a couple of small icebergs. Then it was time to stroll back toward the Visitors’ Center. Along the way, we stopped to appreciate this brass statue. 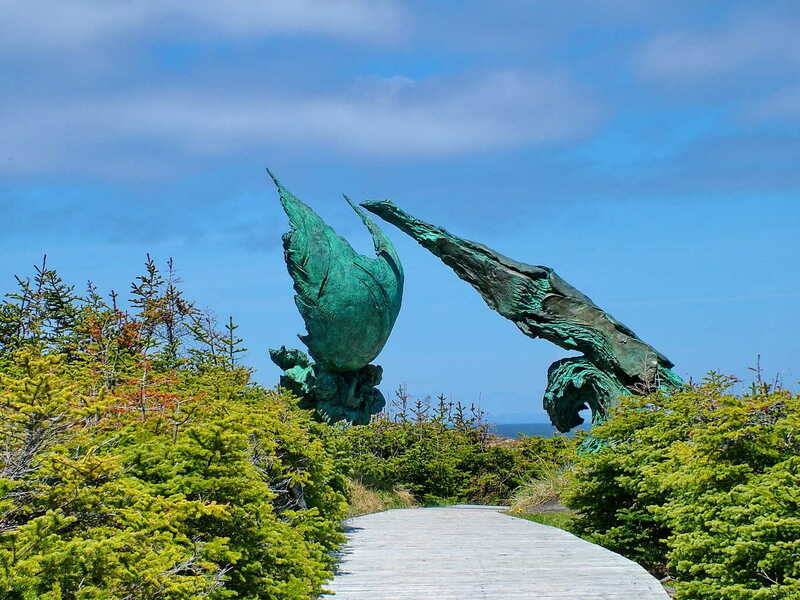 A fitting sculpture called Meeting of Two Worlds embodies the history of this internationally renowned site. 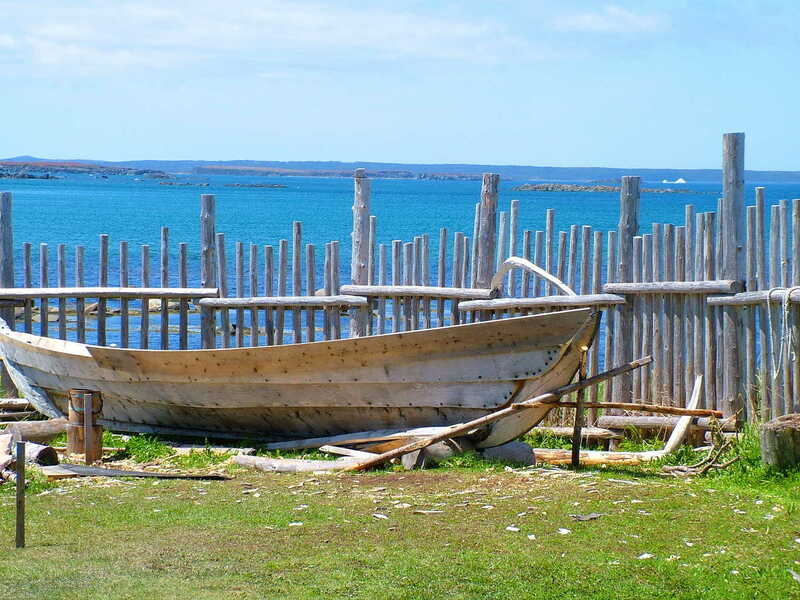 One half of the interpretive artwork was completed by Newfoundland, the other by Sweden. 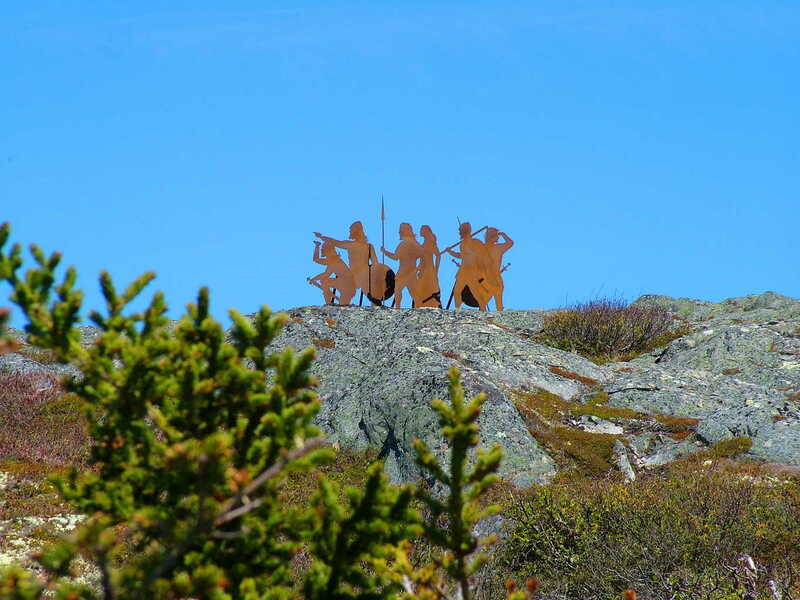 Symbolically, the sculpture represents the departure of Norsemen from their homeland and their arrival in the New World. Where the 2 components meet symbolizes the first contact made between Europeans and the North American aboriginal cultures. 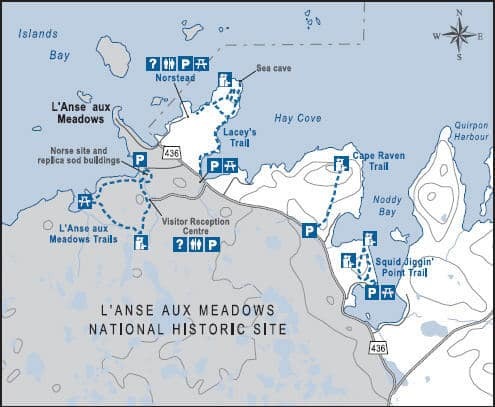 And with that, Bob and I left l’Anse aux Meadows enriched by the history of this region.